Slab and hand built techniques are used with stoneware clays, textures, glazes and oxide washes. 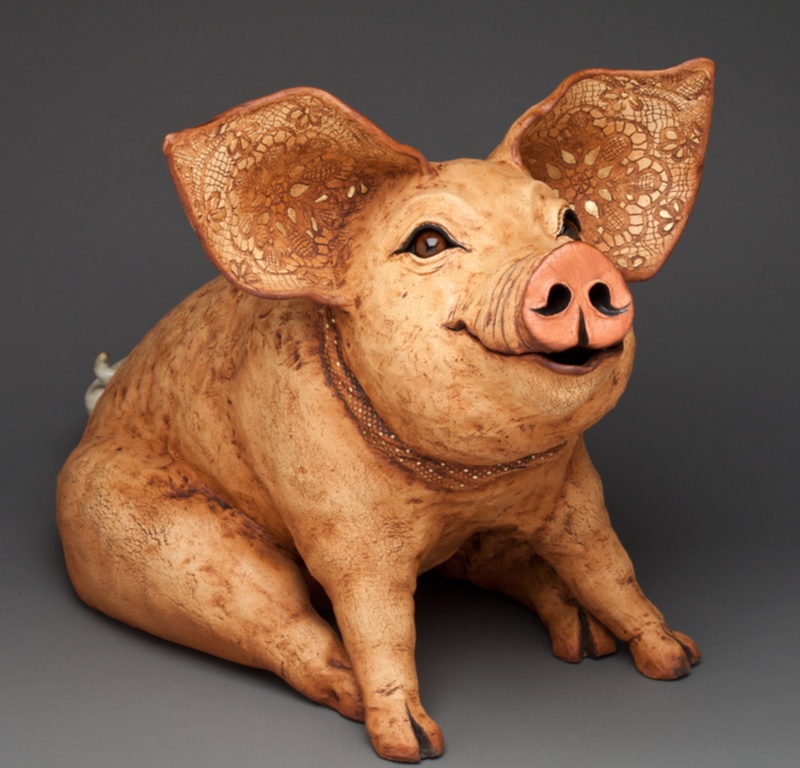 Art is created with a variety of wheel-thrown, slab, and sculpted techniques. Fired multiple times in a large variety of finishes. Other materials include wood, metal, stone, and glass. Work is reduction fired stoneware, & raku. I produce large sculptural vessels, as well as pottery. Sgraffito carving is used over colored underglazes. Raku includes horsehair & slip resist techniques. Thrown & hand built porcelain forms are also my canvases. Each piece is unique, many salt fired (atmospheric firing.) I draw & paint with line, texture & glazes creating an active & tactile surface. All work is wheel thrown, high fired porcelain with hand mixed glazes. I create functional and decorative handmade pottery. I use various methods to apply texture to my work before glazing. All of my work is high fired stoneware. All work is wheel thrown pottery with ash glazes. Stone ware clay, thrown and altered, Raku style firing, post fire acid wash for an ancient look. My work is hand-thrown, hand-built and altered porcelain. Glazes are dipped, sprayed then brushed and slip-trailed. The piece is high-fired in a gas kiln. My work is wheel thrown, hand sculpted, and Raku fired ceramics. Various post firing treatments are used including horse hair application and reduction.